Jack Richeson Clear Carve 36 Pack Etching Plate 5" x 7"
Product prices and availability are accurate as of 2019-04-15 16:36:44 EDT and are subject to change. Any price and availability information displayed on http://www.amazon.com/ at the time of purchase will apply to the purchase of this product. 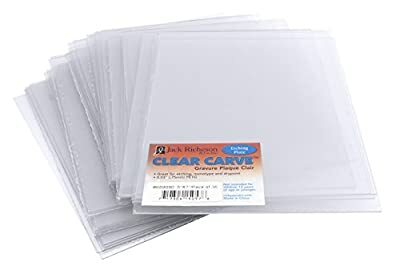 Clear Carve Etching Plates are .030"/.75mm thick clear PETG. 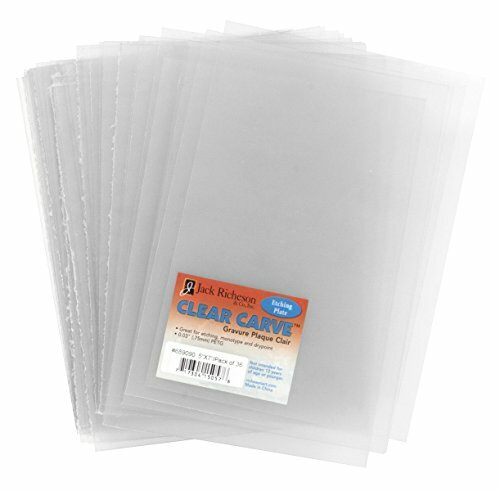 These non-porous, transparent printmaking plates are excellent for dry point, monotype, and calligraphy. Smaller sizes come in packs of three with the 22" X 30" sold as eaches. For convenience we have a 36 pack in the 5" X 7" size.